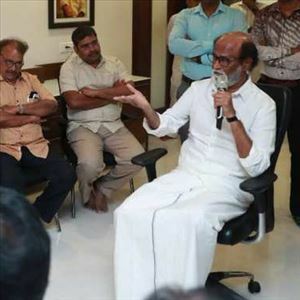 Rajinikanth delays politics due to BJP loss? Nara Chandrababu Naidu is celebrating his 69th birthday. Once we revive his political history it is very hard to believe CBN survival in AP politics since 4 decades. As he saying, creating an opportunity from every crisis and grow like anything in the politics. The schedule for the Mandal Parishad Territorial Constituencies (MPTCs) and Zilla Parishad Territorial Constituencies (ZPTCs) elections in Telangana has been officially released by Telangana State Election Commission (TSEC) on Saturday. Elections are being planned for the posts of 5,817 MPTCs and 583 ZPTCs in three phases on 6, 10 and 14 of May. During Telangana Agitation days, KCR used to call Ramoji Rao as another Andhrodu and once threatened to dig Ramoji Rao Film City with One Lakh Ploughs. Things have changed after the state is attained and KCR came to Power. KCR went to Ramoji Film City and spent a day there. He also accorded all permissions for Ramoji Rao's Om City Venture. Granddaughter of Media Baron Ramoji Rao, Keerthi Sohana is wedded to Vinay this morning in a grand ceremony at Ramoji Film City. The film, political, and industrial celebrities have attended the event. Chief Minister Chandrababu Naidu and Janasena President Pawan Kalyan have graced the event and blessed the couple. Actress Mayoori Kango has become Head of Industry Agency partnerships in Google India and in past she was a part of Bollywood movies acting with top actors like Ajay Devgn and Bobby Deol, Rani Mukerji to name a few. In Peranampatti, two little kids who were playing games near an under construction house accidentally into an open water tank, and faced an unfortunate and tragic death. 4 year old Bhuvan son of Kumaresan an LKG student was having play time with 2 year old Mathilesh and the two were playing near the under constructed house of Suresh and after some time the two kids were missing. A man from Suramangalam located in Salem cut the throat of a woman who had extra marital affair with him, and later hanged himself. These shocking death incidents took place in an ice cream shop owned by a person from Suramangalam named as Pandiarajan. Rakhi Dutta of Kerala had her father diagnosed with a very dangerous liver issue, which could even kill him and he was struggling for life and the 19 year old girl had taken all the measures and efforts to give her father the best treatment. YS Jagan never ever went to any other are office to meet. After the completion of polling in Andhra Pradesh, Jagan went to Prashant Kishore’s office to conduct the discussion after the poll. Prashant Kishore team gave PPT presentation to Jagan on polling trend in AP.